Campaign season has moved into high gear. I am asking you to help reelect me by contributing to my campaign and giving me you #1 vote on Tuesday, November 7, 2017. I need to reach many voters in the coming weeks through mailings, direct contact, and other means. I would be honored to serve you again on the Cambridge School Committee. I need you to join with me by giving a financial donation, putting up a yard sign, hosting a house party, and letting your friends know why you are supporting me with a #1 vote. 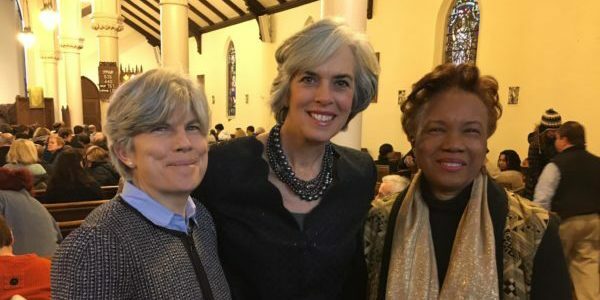 Donate online or make checks payable to “Committee to Elect Kathleen M Kelly” and send to Committee to Elect Kathleen M Kelly, c/o Victoria Harris, 5 Maple Avenue #1, Cambridge, MA 02139. Help Elect Kathleen Kelly on November 7! P.S. Please consider making a contribution of $250, $100, $50, or whatever you can afford.